Gold’s position on the market remains as strong as ever as more and more people every day lose faith in fiat money due to the current financial situation. Investment in gold, which has always been regarded as a safe-haven during global recession, is now in ever greater demand. According to GBULLION DMCC experts, today’s gold bull market will not end until at least 2014, and they are almost certain that it may easily last for another 8 years. The demand is immense, but the supply is also massive. That in mind, GBULLION DMCC, an Internet-based service that allows clients from all over the world to buy and sell physical gold online, has undergone some major changes to become an even more affordable and attractive resource for professional investors and the general public interested in buying gold. Major changes have been made to the service’s security system and its website design, as well as GBULLION’s rates, which is greatest interest to its customers. As of June 2011, all fund transfers or withdrawals can be made only to and from a user’s registered bank account. This means that an unauthorized money transfer to a third party account is no longer possible. Gold buying fees have been re-estimated and consolidated, and GBULLION now sells gold at a price no higher than 1.2% above the Gold Spot Price. The minimum purchase amount is only 1 gram of gold, and liquidity is ensured by GBULLION’s guarantee to buy gold back at the Gold Spot Price whenever one needs to sell. 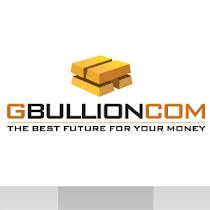 GBULLION DMCC’s gold buy-back is completely free of charge. In addition to these positive changes in its pricing policy, GBULLION DMCC has redesigned the look of the website itself, making it easier to use than ever before. The fully redesigned website http://www.gbullion.com is now online, offering light colors, smooth shapes, simple navigation and useful information without the excessive use of investment jargon. 100% user-friendly. GBULLION DMCC is a licensed supplier of gold regulated by Dubai Multi Commodities Centre (DMCC). It works with private investors, private companies and funds, allowing customers from more than 160 countries to buy and sell physical gold of 999.9 purity online. Users of the system are able to carry out operations with minimum amounts of gold (from 1 gram), making investing in gold more affordable. GBULLION acts as the custodian of gold, insuring it and depositing in a high security vault in Dubai (UAE). Upon request, gold may be delivered to any address in the world.